This article only applies to users manually uploading photos using the online portal (not the App). 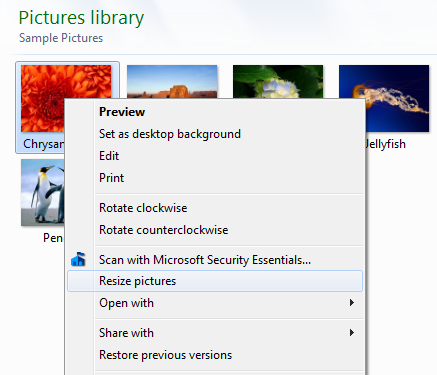 InventoryBase converts your images on the fly suitable for web viewing and printing in reports. It only does this, however, once it has received your images. How long they take to upload depends on the speed of your Broadband. Resizing your images first is particularly useful if you have a large number of photos to upload which are taken directly from camera's and phones, as these files could be anywhere from 2MB to 5MB each. Clicking this will bring up the following dialogue. 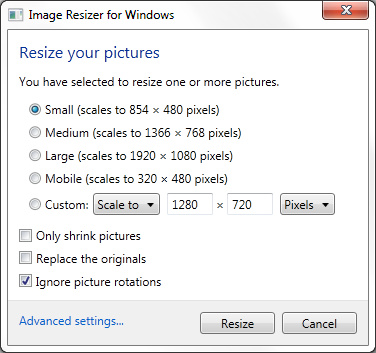 We recommend setting the image size to Small, and it might also be useful to replace the originals if you have backups, as the duplicate resized photos will be placed in the same folder. Once you've optimised all the photos you need, you can now upload them much faster to InventoryBase!